Have you ever wondered what are the most important things to make your reading experience more comfortable? 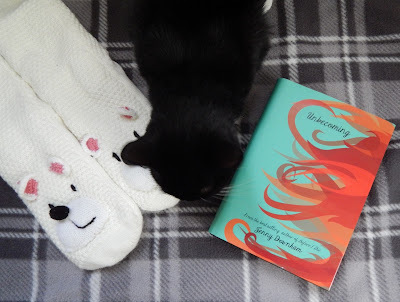 I have complied a list of my top reading essentials- to make sure that nothing will disrupt you when you settle down to get wrapped up in your favourite book. Whether it is a new novel, or even an adult colouring book- a book is pretty essential. It is the key ingredient to allow you to sit and relax. If you have been studying or have been at work all day, make sure to put aside some time with a book to help you wind down. A nice snack will stop you getting hungry while reading- chocolate is a pretty good option. I decided to treat myself to a Wispa chocolate bar a couple of weeks ago after my mock exams, on a rainy Sunday reading afternoon. Hot chocolate also compliments a chocolate bar very nicely, especially if you feel in the mood to treat yourself. You will be in heaven as you sip on a hot chocolate, (especially with marshmallows), while getting into a good book. Cosy socks are definitely a must for me- as I cannot concentrate on anything if I have cold feet. My friend brought me some lovely and warm bear socks for Christmas: I never want to take them off! A cat is definitely necessary. What are your top reading essentials? So true. Love the socks.